The imagination of a group of pupils at Appleby Primary School has been captured by learning about an important subject which is currently high on the public agenda. Pupils in Class Three have been learning about plastic pollution and what governments around the world are doing to reduce the amount of single-use plastic in circulation. Children have been sharing their favourite "Plastic Swaps" and those of their teachers whereby an alternative option is adopted in order to avoid using single-use plastics. Mrs Parsons' current favourite swap is to use reusable "Cheeky Wipes" rather than standard 'baby wipes'. Mr Spruce has been wrapping his sandwiches in kitchen paper rather than cling-film. Children are looking forward to meeting a local young environmental campaigner who has set up her own charity at aged 16 and has founded "Another Weigh" in Penrith. 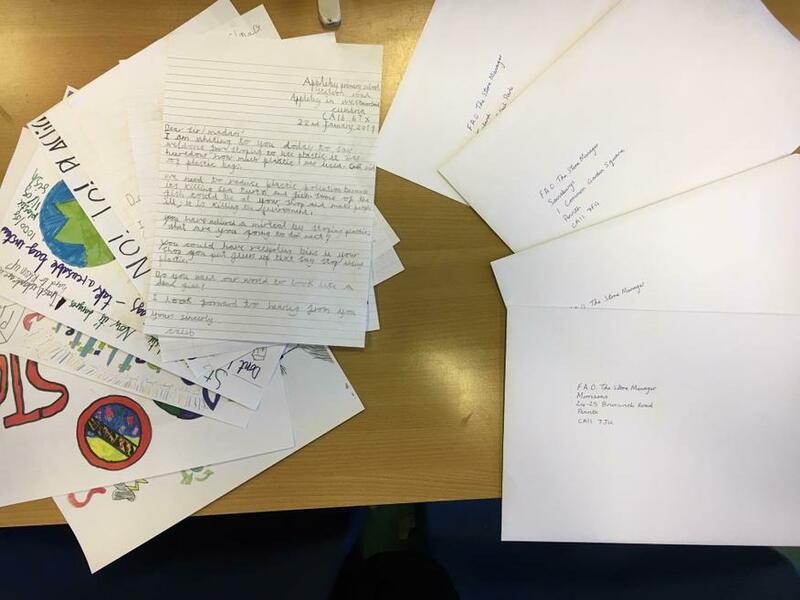 This week, our children have been writing to local supermarkets to find out what they are doing to reduce packaging and improve plastic pollution.